I have heard of people who like to print out their content and read it on paper but this is a new one. An artist by the name of Jesse England has come up with a new way to make a backup copy of his ebooks. He doesn't remove the DRM and copy it to an external file, nor does he use a traditional printer. In his latest art project Jesse uses a photocopier to scan each "page" of the Kindle copy of 1984. He then bound all of those scanned pages into a paper book. 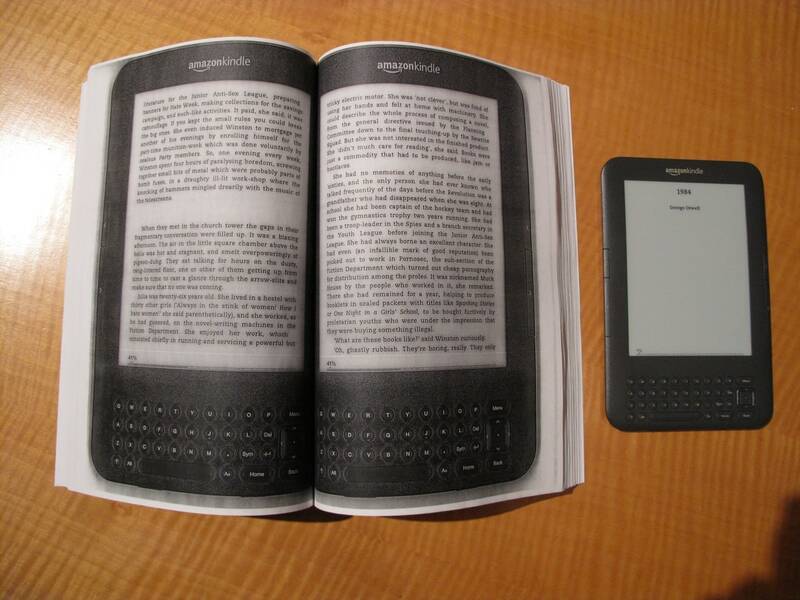 As you can see in the photo below, each page of the book shows the entire Kindle 3 and not just its screen. And to add to the irony, the book was professionally bound and even has a dustcover. E-book backup is a physical, tangible, human readable copy of an electronically stored novel. The purchased contents of an e-book reader were easily photocopied and clip-bound to create a shelf-stable backup for the benefit of me, the book consumer. I can keep it on my bookshelf without worry of remote recall. A second hardcover backup has been made with the help of an online self-publishing house. Jesse goes on to add that he chose this title because of the incident in 2009 when Amazon deleted illegally sold copies of the Kindle ebook from readers accounts. The similarity between that event and the major themes of the novel are strictly a coincidence, I'm sure. I never would have thought to do this. The publishers must be chewing at the bit to see this story. 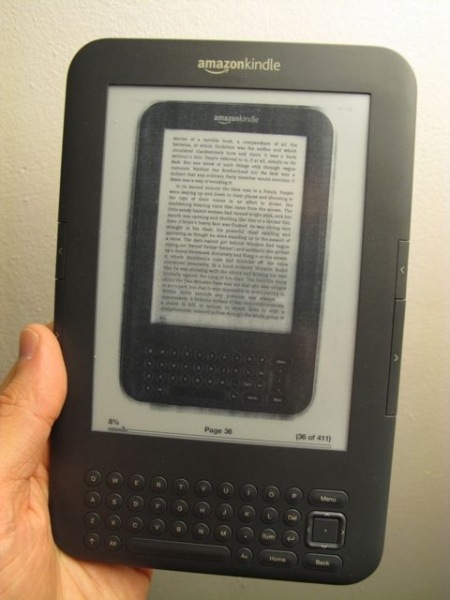 Photocopy your kindle copy of your book while on the kindle. That is an awesome idea! I have a book I bought twice, (lost first copy), and I have a PDF of the book. I need it OCR so I’ve been screen capping with my tablet and extracting the text with a cheap Android program. It works, but its a painstakingly slow process. Anyway, good find Nate. I could actually see this being useful for let’s say printing out a larger text book, or making notes in a book etc..
By the way Nate, you posted a story a while back about a company you could send your physical book to, and they would turn it into a ebook. I think the orignal book gets destroyed, if I’m not mistaken. They charged a dollar per so many pages. Do you remember who that company was? That was it! Thanks Nate! Too much free time for this “artist”. That is a flat out crazy idea, but in a way, there’s a symmetry to the insanity that’s appealing.